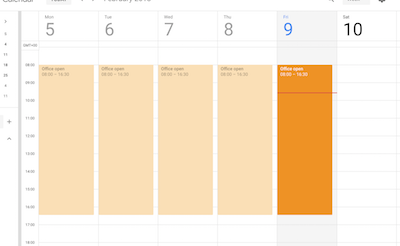 For more complex time of day routing (or you would just like to use Google Calendar) you can check the state of any (which is shared) Google Calendar and make a decision what to do with a call. Typically, it might be used for checking the opening and closing times of your office which in turn will either allow calls through or send them to voicemail. To set this up - it is easy - as long as you know where to look for all of this little settings required. 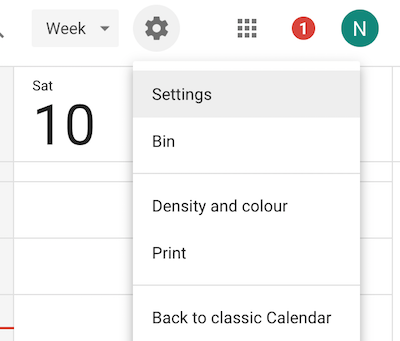 Once setup, you can even do things like configure the same calendar on your mobile phone so you can change the open and close times whilst out and about. First, we will set up a calendar. There are 2 sections to this, 1) setting it up and 2) the ongoing management - tweaking the times when needed. You will probably use the Google Calendar on the same account which you use to log into babblevoice with. But, this maybe used for day to day use. So, if this is the case, you will need to create a calendar specific for routing your calls. 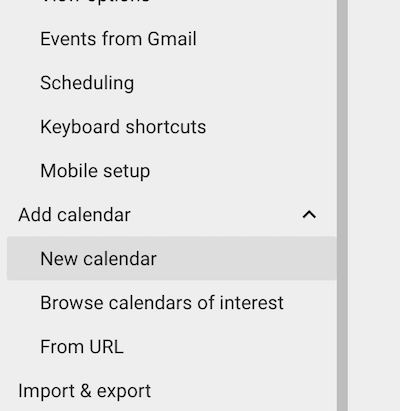 Log into Google your Google Calendar. This rule reads (which takes the calendar id from above). When a call comes in on 01442299280 check my Google calendar omniis.com_soikjo87gttbpf6du4u8joibnc@group.calendar.google.com if I am busy then jump to extension weareopen otherwise jump to weareclosed. Typically you might create a recurring daily booking. You can then delete things like bank holidays any other items which don’t fall into this booking. With this in place, and babble will jump to those different extensions accordingly.